As the crossover SUV continues its dominance in the auto industry as one of the most popular choices for a vehicle, one is quickly becoming a top pick with shoppers who want it all. 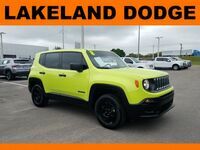 The Jeep Renegade is leading the way in its segment by offering you the power, capability and versatility you’ve been looking for in a used crossover SUV. 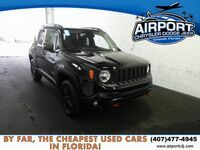 A used Jeep Renegade in Orlando, FL can provide you with the interior passenger space, off-road capability and the technology and comfort you want and need in your next vehicle. 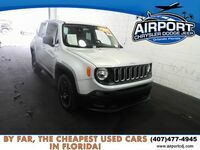 The Jeep Renegade is a four-door subcompact crossover SUV that offers a smooth highway ride while also being able to conquer any off-road trail when choosing its highly-capable four-wheel-drive system. 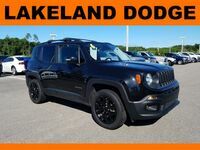 With four available trim levels that include the Sport, Latitude, Limited and Trailhawk, you’ll be able to get all the technology features and comfort options you’ve always wanted when choosing the Jeep Renegade. 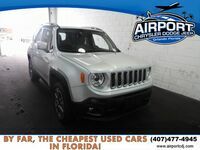 Helping a used Jeep Renegade deliver its impressive power and capability are two available engine options. 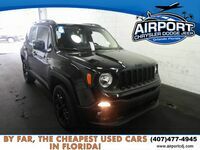 The base engine that is found underneath the hood of a used Jeep Renegade in Orlando, FL is a 1.4-liter turbocharged four-cylinder that can put out an incredible 160 horsepower and 184 lb-ft of torque. It comes standard with a six-speed manual transmission that sends power to the front wheels. The second and more powerful engine that is available in all four Jeep Renegade trim levels is a 2.4-liter four-cylinder that puts out an outstanding 180 horsepower and 175 lb-ft of torque. It uses a nine-speed automatic transmission to deliver power to your choice of either a front-wheel or four-wheel-drive system.